Apple has officially unveiled two new iPhones to its family. Yup, there are two new iPhones launched at a small launch event earlier this morning: the iPhone 5c and iPhone 5s. The iPhone 5c looks set to appeal to the younger crowd with its vibrant colours and polycarbonate shells, while the iPhone 5s looks more serious with its sophisticated aluminium good looks. Building on the success that is the iPhone 5, the iPhone 5s and 5c each offer distinctive features that cater to their specific target markets. What’s interesting, besides the introduction of the new iOS 7 OS powering these phones (not to mention the fact that almost every rumour leading up to the launch proved to be accurate), is what’s inside both devices. Announced first was the iPhone 5c. The lower-end of the two devices announced today, the iPhone 5c essentially replaces the iPhone 5, which is now effectively discontinued. It is made from a hardened polycarbonate shell that is reinforced with steel on the inside, which also acts as the antenna for the device. The single-piece unibody mirrors that of many colourful plastic smartphones in the market today, as Nokia were quick to point out shortly after the launch. Inside, the iPhone 5c looks a lot like an updated version of the iPhone 5. The hardware is essentially unchanged: dual-core A6 chip, 4-inch 1136 x 640 Retina display, 8MP iSight camera. In fact, the iPhone 5c adds better hardware, too. There’s a new FaceTime HD 1.2MP front-facing camera, as well as greater battery capacity. All this in a chassis that is only 8.97mm thick and weighing 132 grams. 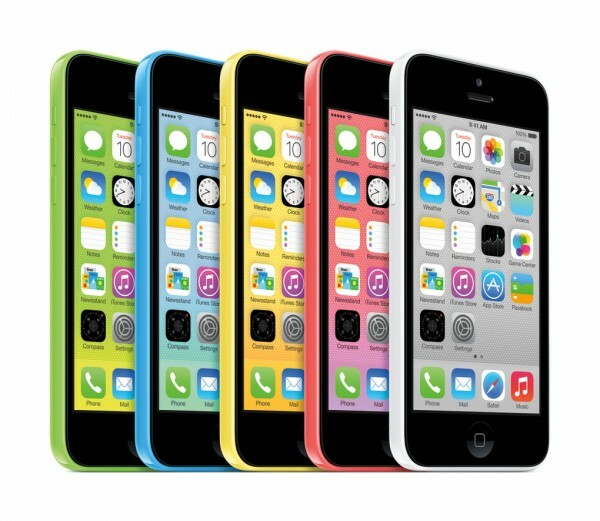 The iPhone 5c will be available in five vibrant colours: Pink, White, Yellow, Blue and Green. 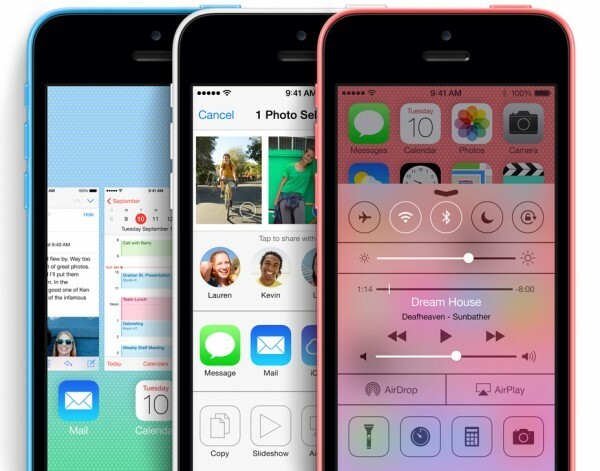 And of course, it will run on the latest iOS 7 operating system, which will be officially available from September 18. Now for the more interesting device. While externally, the iPhone 5s looks pretty similar to the now-discontinued iPhone 5, there is nothing similar on the inside. The beating heart of the 5s is a new A7 processor that is built on 64-bit desktop architecture, making the iPhone 5s the first 64-bit smartphone in the world. Further, iOS 7 is also optimized to run in 64-bit, the A7 chip performs better on the OS. Compared to the A6, the A7 chip is up to 2x faster both in processing power and graphics performance. A new addition to the iPhone 5s is the M7 coprocessor. It is specifically designed to track motion using the accelerometer, gyroscope and compass of the 5s. That way, the A7 processor’s load is reduced, thus increasing battery life. In addition, the M7 is sensitive enough to determine whether you are stationary, walking or even driving – and engages useful features such as automatically switching Maps from driving to walking turn-by-turn navigation. Also, there’s the new Touch ID fingerprint sensor built into the home screen. 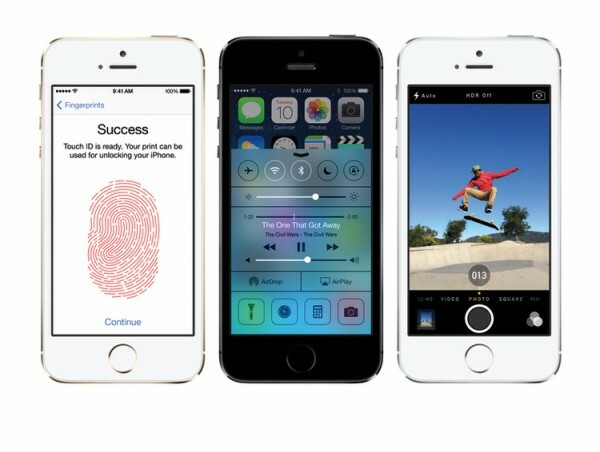 While at first it does sound like an overkill feature, a fingerprint sensor on the iPhone 5s ensures greater security and, equally important, saves users lots of accumulated time in bypassing the Passcode Entry window. The scanner can also scan fingerprints when placed in any orientation, so phone unlocks should be as painless and quick while still being very secure. Finally, there’s the new iSight 8MP rear camera. The sensor’s been increased by 15%, and the aperture is also larger at f2.2 which should increase low-light performance. In addition, Apple states that each individual pixel on the sensor is also larger than normal, at 1.5 microns. 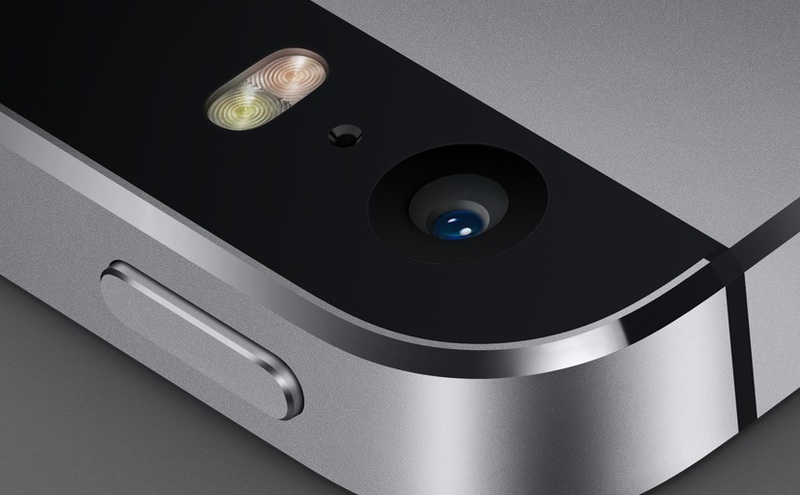 Interestingly, the iPhone 5s camera adds a new True Tone flash, which is a dual LED flash module quite unlike others. One flash module is warmer amber shade, while the other is the standard white LED flash. The sensor intelligently detects the ambient lighting and adjusts the flash intensity and – crucially – colour temperature, reducing the chances of over-exposing the subject from the flash. While other smartphone makers such as Nokia and HTC pride on the image quality of low-light images taken without flash, Apple is in a totally different school of thought with the True Tone flash. If the images taken with flash result in crisp, perfectly exposed images, why bother with not using the flash? It’s definitely an interesting development, and one which will undoubtedly further heat up the race to be the best smartphone camera. That’s not all. The new image signal processor (ISP) on the iSight camera allows for up to 2x faster autofocus, 10fps burst shots, and can also capture 720p footage in 120 frames per second in Slo-Mo mode. Users can then select which parts of the footage to play at quarter speed. Finally, at 112g and 7.6mm thick, the iPhone 5s exactly the same in dimension and weight as the outgoing iPhone 5 – potentially a masterstroke given the very active aftermarket sales for accessories. iPhone 5 cases will fit into the iPhone 5s, and vice versa. 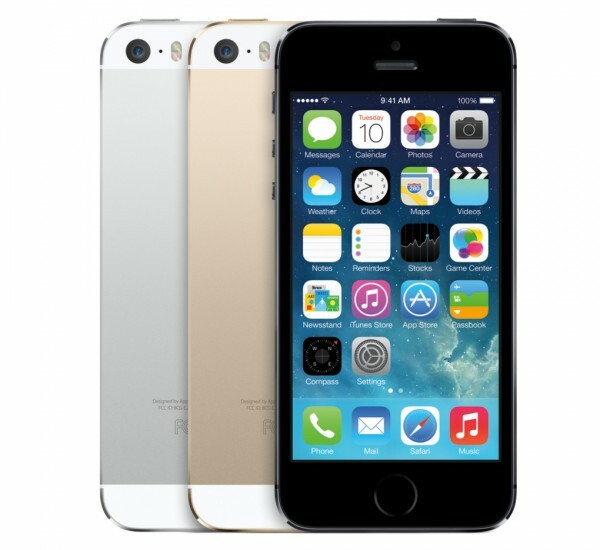 The iPhone 5s will also be available in three colours: Space Grey, Gold and Silver. 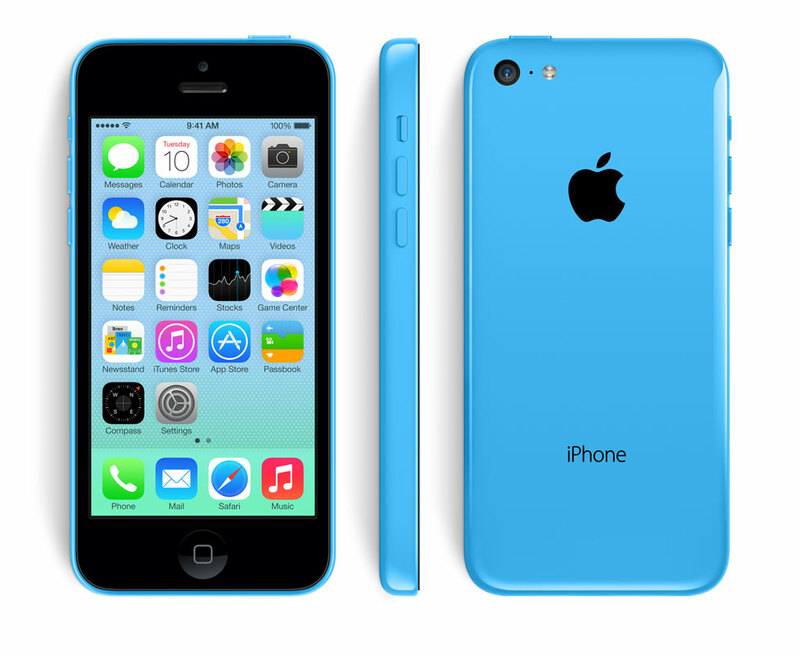 The new iPhone 5c and 5s will be available in nine countries from September 20 – Singapore is among the nine. By December, Apple expects both devices to be available in over 100 countries. The Singapore Apple online store is now live, too: the iPhone 5c retails from SG$848 (around RM2220) while the iPhone 5s will be priced at a very premium SG$988 (around RM2580). In the US, unlocked versions of the iPhone 5c will retail from $549 (around RM1820) while the iPhone 5s is priced from $649 (around RM2150). Pre-orders for the iPhone 5c opens this Friday (September 13) while the 5s can be ordered from September 20 at the Singapore Apple Online Store. Retail outlets should have limited units of both devices on September 20, as is usually the case for previous iPhone releases. For more information about Apple’s latest iPhones, head on to its official US website here.